The Timber Ridge Foundation would like to thank the following business who have partnered with the Foundation this school year in our goal to provide the best learning experience for our children. Their generous donations support our purchase of iPad carts and help fund our technology programs. Please support our Foundations Partners and thank them for their support of Timber Ridge! If you are interested in becoming a community sponsor, please click here for more information, or contact Amy Merlin or Kristie Wright at sponsors@timberridgefoundation.org. while representing their clients’ interests with the highest level of integrity and professionalism. If you or someone you know is looking to buy or sell real estate, call the Beshara Team. We specialize in providing the most up-to-date amusement equipment to a select group of Bars and Taverns in the Atlanta metro market. and technological literacy among students through interactive hands-on science experimentation. that meet Georgia Performance Standards to over 100,000 students each year. Also, please inquire about our science camps, Saturday science workshops, science birthday parties and special events! legends as a World Renowned Leader in the field. Grandmaster Seo has an 8th Dan Black Belt from the Kukkiwon in Seoul, South Korea. Our black belts are issued by the Kukkiwon, recognized in 200+ countries.We train discipline, self-control, fitness, and technique. and Instructor through the World Taekwondo Federation, the world’s largest martial arts association. Grandmaster Seo was the Team Coach for the Korea National Team, and Chairman of the Kukkiwon Referee Committee for two years. and Kickboxing is ages 14 and up. Grandmaster Seo is also an 8th Dan Grandmaster in Hapkido, and holds a Master’s Degree in Education. A tradition of Excellence. Ages 4 and up. 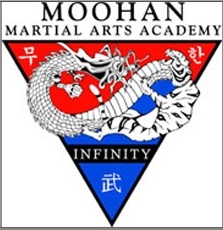 Private Lessons, Tae Kwon Do, Family and Adult classes available. We also have Birthday Parties!